Saint Raymond of Peñyafort, Priest - My Catholic Life! Today’s saint lived numerous lives inside of his 100 years on earth. He was an intellectual prodigy who was teaching university-level philosophy by the age of twenty, and who took degrees in civil and canon law from the premier law university of the time—Bologna. While in Bologna, he likely came to know the founder of a new religious order who had also come to Bologna, and who would die there—St. Dominic Guzman. The example of the Dominicans led Fr. Raymond to exchange the diocesan priesthood for the Dominicans. St. Raymond’s abilities and holiness were such that everyone seemed to want him in their service. Kings and Popes and Bishops and Orders all had plans on how to utilize him best. He was called to the Pope’s service to make the great contribution for which he is still known today, the organization of a huge compendium of Church law which served as the basic reference for canon lawyers until the early 20th century. Exhausted by this three years of effort in this project, he returned in middle age to his native Barcelona. But his life of quiet and prayer did not last long. He was shocked to learn from Dominicans sent to him from Bologna that he had been elected the second successor to St. Dominic as the master general of the Dominican Order. He served his Order well and dutifully as Master General but not long. He resigned due to old age when he was 65. But there was still a lot of life left to live. St. Raymond’s activities in his old age included efforts to try to convert the Muslims then occupying Spain, the establishment of theology and language schools dedicated to converting Muslims, his probable personal encouragement to St. Thomas Aquinas that the young scholar write an apologetic work directed at non-Catholics, the Summa contra Gentiles, and St. Raymond’s rejection of an episcopal appointment. 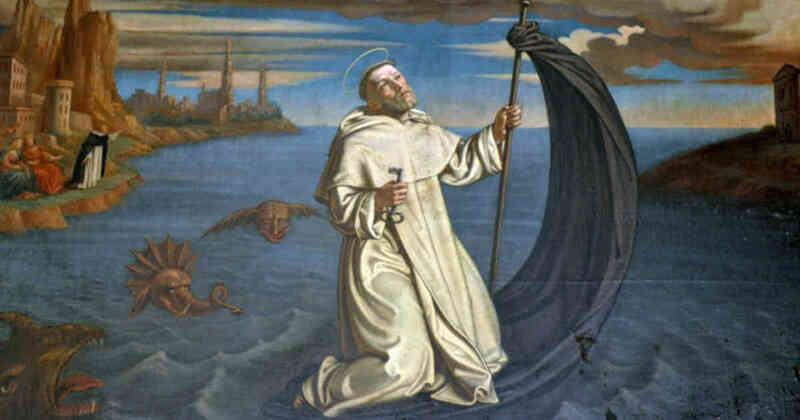 St. Raymond’s life shows an admirable synthesis of traditional piety and devotion, service to the Church, obedience to his superiors, love of theology, dedication to his Order, and respect and love for the law. To know, love, and follow the law is not contrary to charity. When kept, the law promotes charity and protects the weak, the poor, and the ignorant from being taken advantage of. It takes very smart and holy people to protect simple people and bad people from themselves. Saint Raymond was smart and holy. He laid his gifts at the altar of God, and God used those gifts splendidly. 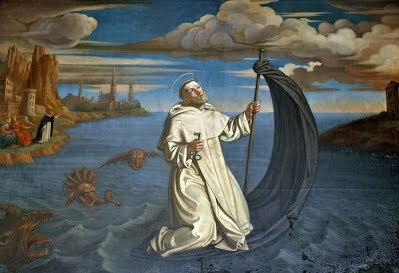 St. Raymond, teach us to see the law of God and the law of the Church as one harmonious law meant to foster true communion among men and true communion between God and men. May God’s law be our law. And may the law never be an obstacle to true love and devotion.